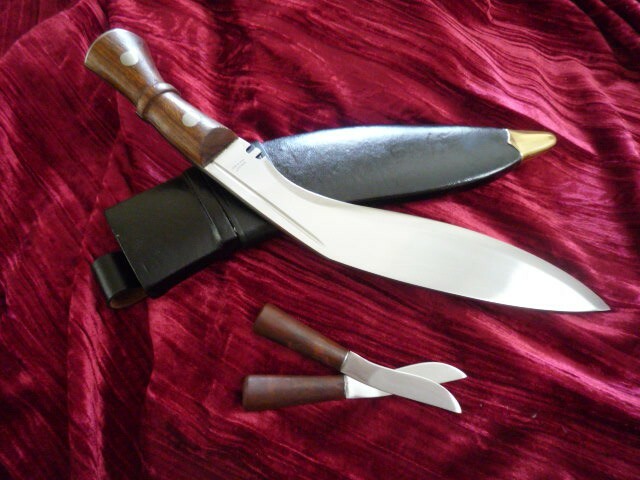 Original military issue kukri to Gurkha Regiments. Used by the Nepalese Gurkhas dating back to the 1850’s. Blade 30cm with deep grooves and religious ‘trident’ notch 6mm thick. Traditional native hardwood handle.Wooden leather covered regulation sheath.